This month we’d like to take the time to thank our Bindaas Diva, Farrah, who wrote us a quick message about her rental experience…. I first heard about Borrow It Bindaas through their Facebook Page. I was renting a saree for a reception I had to attend. I went ahead and decided to rent the Pink Checkered Print Saree . The blouse options were both great; the long-sleeved version was adjustable and I enjoyed the custom tailored fit. The customer service was great! All of my questions about fit and style were answered in detail; the staff was very helpful in offering suggestions. 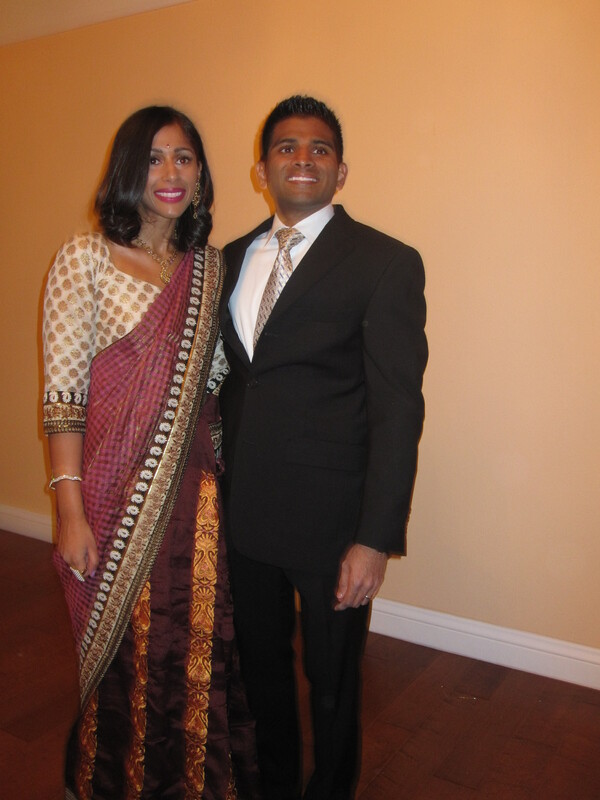 It was a great way to try a different sari style without having the expense of buying a new one. Thank you Borrow it Bindaas!